Listed is a cedar chest. It measures 24" long by 14" tall by 14" wide. It is 100% cedar wood. 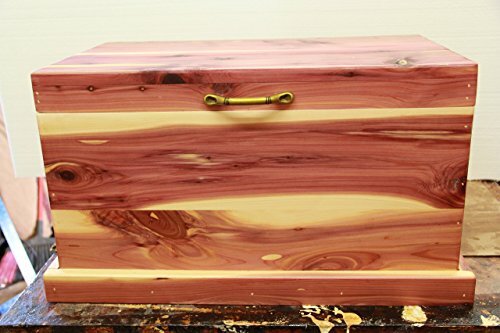 The inside is unfinished so you can have the cedar smell. The finish on the chest is tung oil. Custom orders are welcome upon request.